I’m spending more time at work these days. Getting some sketching practice in. The plastic sandwich bag is on top of the paper lunch bag. It was hard to get the bright highlights that distinguish the shiny plastic from the matte paper. 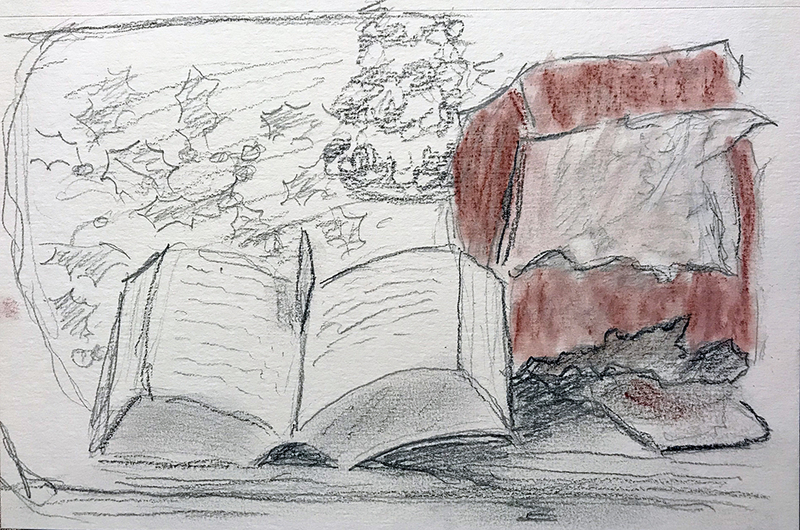 This entry was posted in Personal Stories and tagged art, conte crayon, creative process, dinner time, drawing, drawing practice, sketch, sketch practice, sketching, visual arts. Bookmark the permalink. Very interesting Jack. I’m working more too. N.
Thanks, Nina. I hope you enjoy working more. I like it pretty well. Less time to create though.